It doesn’t matter if you are having your first dentures or a new one it is quite difficult to adapt to them at first. Most patients report that at first they have a little trouble speaking or eating because the feeling their denture provide is a somewhat weird comparing to using your natural teeth. And I know that struggling with something that we should dominate normally every day can be a nuisance and even frustrating. Simple things like eating a sandwich, an hamburger or speaking with your family and friends can become such a daunting task if patients don’t adapt to their dentures to have full control of them. 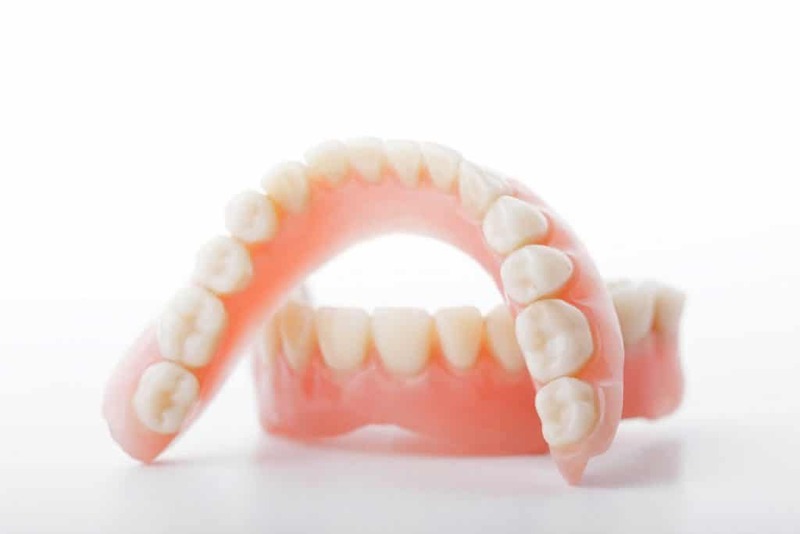 Dentures are a fantastic solution to replace teeth, but at the same time they are a little tricky to use, especially at first. The patients that report that have the most difficult times are first time users and that’s why today we are going to share some tips to rescue them and avoid them a bad time making a fool in public. This is the simplest advice I can give you if you are struggling with your dentures, practice a lot. And by a lot I mean that every day you should practice brushing your dentures, speaking with dentures, eating with them, all that. If you don’t use your dentures enough you won’t be able to adapt to them quickly and you will always feel that they control you instead. So the first step is to practice. But be smart and start by the simplest things, like eating soft foods and liquid like ice cream and soup. That way you can make baby steps before tackling more advance stuff like burgers and steak. As they say “you have to walk before running”, here it’s the same scenario. Do this and after a while you’ll see that it isn’t as hard as you believed in the beginning. And this tip you can use it for every task. If you have trouble talking, for example, you should start by reading out loud alone the newspaper or your favorite book. Then you can advance by reading to your couple or kids. In no time you’ll become as smooth as a news anchor. Practice is really important, but resting is as important too. You don’t have to feel ashamed if you need some rest. Take a break once in a while because adapting to new dentures should not be a reason to be stressed out. So take things lightly because just by practicing every day you’ll be a pro in no time. Also giving your dentures a rest will help to avoid wearing down. Remember to take good care of your dentures too, don’t use them recklessly! There is a chance that the difficulty of adapting to dentures isn’t your fault. There is a possibility that they have some kind of defect from the lab. Just to be sure you should consult with your dentist in case you notice some kind of constant discomfort. You can ask your dentist to check out if your dentures for all kind of defects it may have. But also you can ask him or her for the glue of your dentures. 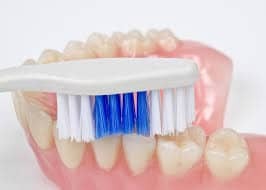 For some types of dentures you will need the help of special glue to ensure that they don’t fall off randomly. This also depends on the patient too and that is why is so important to select a good dentist to make your dentures. And that is all for today folks! Just to recap, practice a lot, get some rest, visit your dentist and you will be just fine. It is also important that arming yourself with a lot of patience, but don’t worry, this is not rocket science. Stay positive, until next time!